It's a slow Thursday afternoon in the Hill House. I've got a baby snoozing for a late afternoon nap (I worked hard for this one; that top baby tooth is really bothering my girl) and a little quiet time for blogging. A few hours ago we had a little family coffee date, hello Starbucks holiday drinks!, and it has me dreaming of Christmas. I've already been listening to Christmas music. Guilty as charged. I'll be sharing our home all decked for the holidays soon, so today felt like the perfect time to welcome you in and give you a little peak. It's been almost seven weeks since we moved in. The first two weeks that we owned it, we worked on big projects that had to be completed before furniture could be moved in. Like refinishing the floors. Husband ROCKED this project, and our floors are stunning. I'll be sharing how he did it in the coming weeks. If you're considering refinishing the floors in your house by yourself verses paying someone to do, it is so worth it! And your checkbook will sing your praises too. But, more on that later. 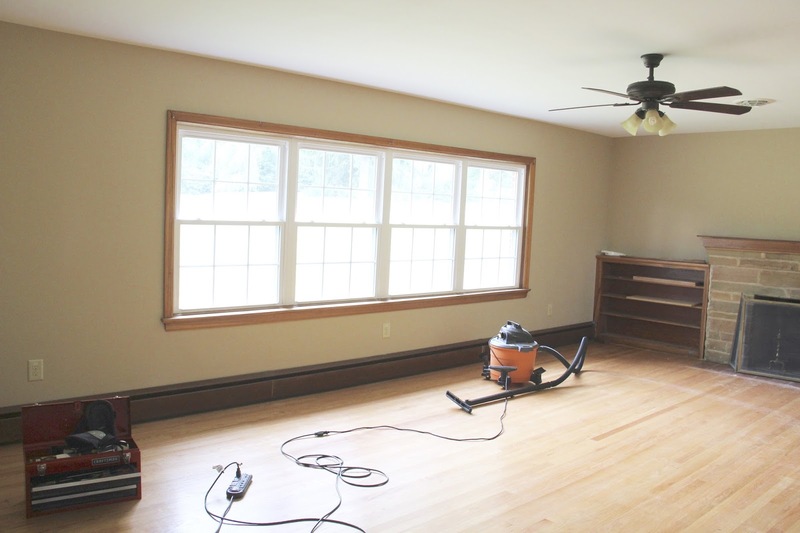 Here are the before photos of our house on the day we closed, in its original state. It's looking a lot different these days! The light in our family room is stunning, making this space my favorite room. I'm so excited for all of the memories we are going to make in this space. And the potential for design...ahhh don't even get me started. The entire house has such incredible potential. The bones of this place are outstanding, and over the course of these last weeks, husband and I have poured our DIY love into our first home. The light in the dining room is equally as stunning as what is in the living room. And since they sit side by side there is so much natural light that pours in. It's simply the best. Our foyer loses a lot of the light when the front door is shut. So we remedied that a few weeks in with a screen door. Best decision ever. And one of my favorite parts of the foyer is the door that leads to the bedrooms. We can close it off if we have visitors and a sleeping baby. It's really convenient. 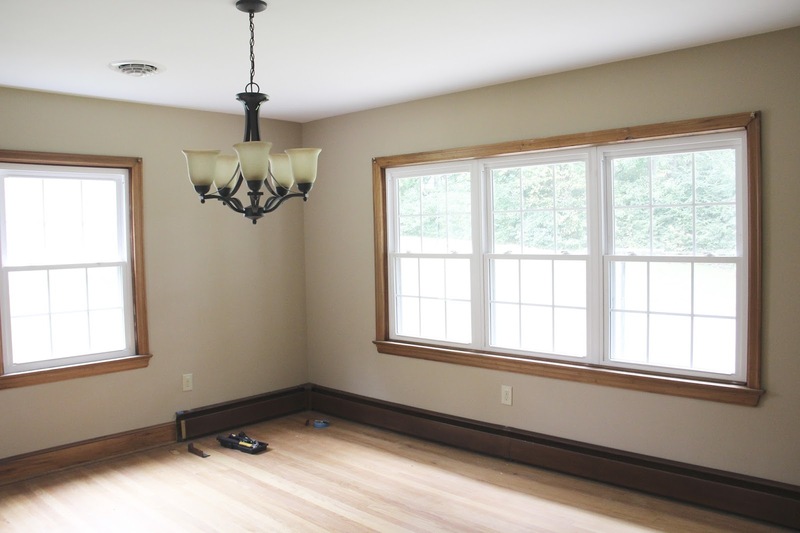 Ultimately, this house is a blank slate just waiting to be given character. I love that we get to do that. A fun fact, our house has been sitting vacant for at least nine years. 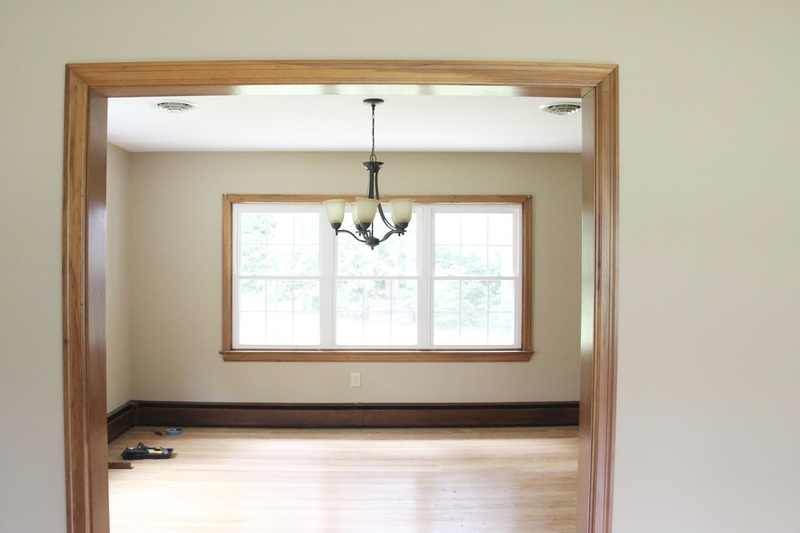 Then the man that we bought it from did some renovation, but left it as you see it in these photos, giving us the room to make all of the design decisions. As you can imagine, I'm smitten with having the space to decorate, DIY, and project on! Our guest bath in the hallway is such a good size for our needs, and again it's bare and ready to be made over, but still in wonderful condition until we can get to those touches. Our bedroom is much smaller than the one in our townhouse. And while in our dream home we will have a much larger space, this one suits us for now, and it's all that we need truly. We're fortunate to have a small ensuite, which is huge in a house as old as this one. Greer's room has beautiful light and is actually bigger than her nursery was in the townhouse. A huge plus in this space is the closet size, another less common feature of older homes. Our third bedroom is used as a guest room/office. It will be the last room we finish, but we're thankful to have the spare room for guests to come stay with us! We are far from finished with making it our own, and there are more projects on the list than I care to think about some days. But, oh how thankful we are to be homeowners and to really put our personal touches into this home. The memories, the milestones, and the moments we have here are going to be magical!